A 5 minute walk from Portlaoise Train. Eircode; R32 KV20 . 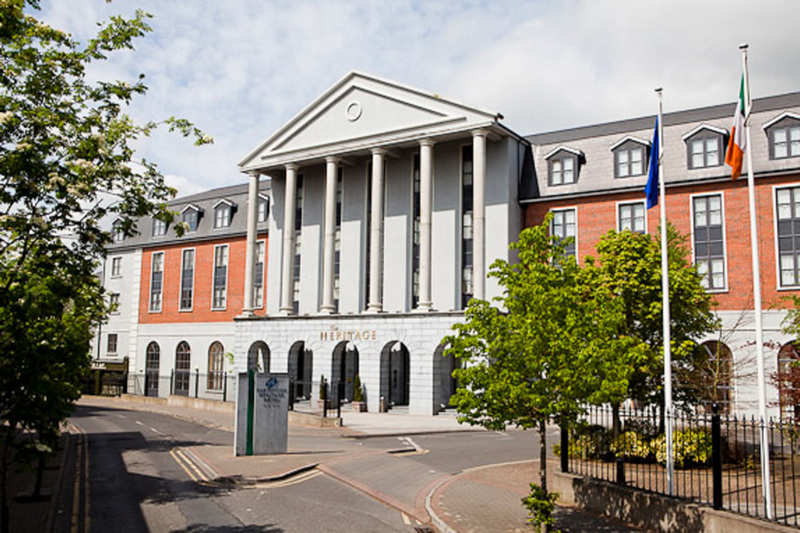 We are set in the perfect location for you to explore the Heart of Ireland with only a 5 minute walk from Portlaoise Train Station allowing you excellent access from all over Ireland. Hi fantastic time away with friends and daughter's. I would highly recommend this hotel lovely staff food and spa area.pool is exactly right temperature .loads. of places to see and shop.diffently be back. Fabulous Hotel, beautifully decorated. All staff very friendly. Great food in all areas especially Kellys Steakhouse restaurant-part of the hotel but across the road. Highly recommend. Stayed Sunday and Monday night. Staff so welcoming and helpful. Requested room near the lift for my elderly mum and it was just perfect. Had our meal in Kellys Steakhouse on the Sunday night and it was 5 star. We will be back again soon. Two night stay over the bank holiday weekend. Hotel has been completely revamped since we last stayed there. Good big rooms and very good food. Particularly liked the cooked to order breakfast menu as opposed to a hot buffet. Buffet still available for cold options. Highly recommended. This hotel got a recent revamp and what a smashing job they did. I love the grey theme and the dark corridors very boutique-esque. The rooms were very spacious, the pool was and changing rooms were exceptionally clean. Kellys steakhouse restaurant had one of the best steaks I have ever tasted. Breakfast was run very smoothly with a top quality irish breakfast. My kids had a fab time in the kids clu and wanted to return every evening (credit to the girls running it) But what impressed me the most about my stay here was the staff. They are really friendly and you get the sense that they genuinely like working in the hotel as each staff member I encountered had a beaming smile all day long. 5 stars from me. We celebrated a 70th Birthday at the Hotel and have to say we were all very impressed. Well deserved 4 Star Hotel. Rooms are lovely well decorated and all essentials provided. Restaurant food was great. A lovely selection for Dinner and Breakfast was excellent. Staff very friendly, professional and efficient. Would certainly return. Lovely hotel, lovely food. Staff are so helpful. Only thing I would have a problem with is the swimming pool dressing rooms. Very run down. No real privacy. Arrived at the hotel on Friday, 5th May, around 6pm. Got checked in very fast, and the girl was very efficient and friendly. Went to our room which was good size, with a single bed, plus double bed. The room was spotless, and very well presented. Had a meal in the town, and retired to the hotel bar, for a night cap. The bar staff were very friendly. There as live music, one guy singing ballads which was really good, and very entertaining. Next morning we had a lovely breakfast. The cereals, and orange juice as well as yogurts, were self service. You could order a full Irish breakfast from the menu, with different options, and this would be served fresh. This was a nice touch as most hotel have a breakfast buffet service. The only negative is the car parking. The hotel does not have a car park, and for a one night stay, you can stay in a private car park, adjacent to the hotel. The hotel will give you a voucher next morning. Your stay in the car park is free from 6pm the prev night til 10 am next morning. After 10 am, you will be charged €1.50 per hour, or €5.00 per day. Beautifully décor bedrooms - very 4*. However, dining experience left a bit to be desired. Portions small and very average. Service bit sloppy, and perhaps staff too over-familiar/casual for 4 star. Good location and we got a very good deal. Very enjoyable stay. Bedroom well-proportioned and comfortable. Leisure facilities excellent. If there was one area that one could criticize, it is the Breakfast management. On each morning it was a bit hectic, as it was school mid-term break. Irrespective of that fact, there is a problem with breakfast management, after one has had their cereal the next breakfast courses are waiter service. The management of this portion of the breakfast was not the best, waiting for food and on one morning having to ask for our order and having to re-order. It would be better if the breakfast was serve yourself. Dinner was the exact opposite, very attentive staff and excellent food. Really nice family hotel. Lovely food and facilities. 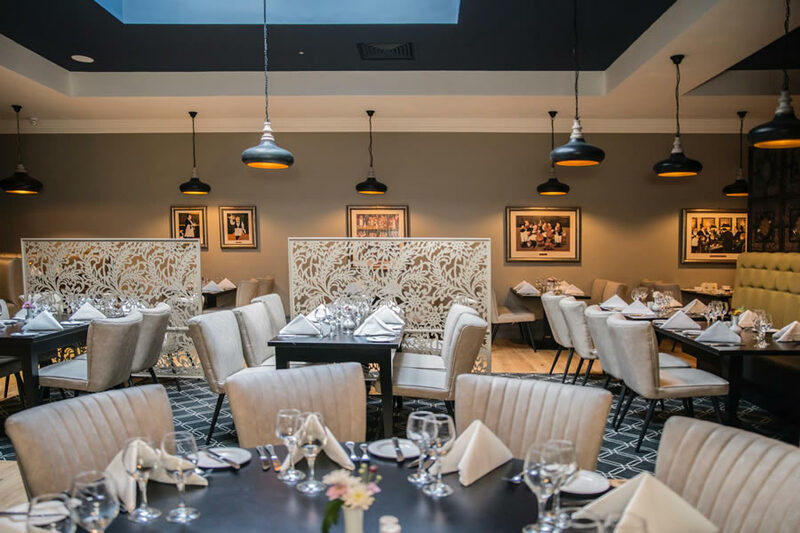 Portlaoise Heritage Hotel is well located in the middle of the town so you can simply park your car and go browse....The hotel as always is warm and welcoming and although they are in the middle of major renovations it did not affect the stay. Kelly's Steakhouse is definitely worth a visit after reopening recently with a new look!! Menu (although seems expensive) is so worth it, the food was served quickly by friendly and attentive staff and portions were huge. Breakfast is buffet style with plenty to chose from. As per usual, we would recommend this hotel and look forward to staying again soon. Room, food and staff were excellent.Staff on reception exceptionally helpful. We have stayed at this hotel before and have never been disappointed. We were very impressed with the newly refurbished bedroom. The staff are so friendly and helpful, nothing is too much trouble for them. Food is lovely and will be back again. Great value for money. Hotel staff were very nice and helpful. Rooms were nice and comfortable, if a little too hot at night - could do with air conditioning. We booked a package that included an evening meal and the reception staff advised that we dine at the nearby Kelly's Steakhouse (owned by the Hotel) but I was very surprised, nay disappointed, that even the cheapest steak (in a steakhouse) had a €5 supplement attached to it! - I didn't want a steak anyway, but it smelt of rip-off!!! Both my wife and I enjoyed what we ordered but the aforementioned left an aftertaste (excuse the pun). Excellent reception staff, first put into very noisy room at side of hotel but moved to quieter room on request. Had dinner first night in restaurant excellent food great value, had dinner in bar second night very disappointing burger and chips absolutely no flavour to burger and very small portion of overcooked chips. Overall staff very friendly and efficient, bar food very disappointing, leisure centre very good. well worth a visit .allerations beautiful. staff very helpful and polite. Lovely hotel, centrally located. Very helpful staff, especially those in the restaurant. Dinner options could definitely do with being a little broader and the hotel is in need of some modernisation but this has started in the function area which looks great. Our group had 3 families,1 family had to be moved to a different room because of the noise from the nitecub, We were at separate tables 4 dinner even though it was booked in advance, Only 1 toaster available 4 breakfast which caused a queue. Food was nice, The newly renovated rooms are very nice which 1 of the families was moved to. Had a nice stay. Thoroughly enjoyed my two night break here with husband and two children, staff very helpful, food was very tasty and pool area was great for the children, was disappointed that I had to pay for the kids club even though I had booked a two night break - though this would automatically be included- would return again. I stayed here with my husband and a group of friends for a 40th birthday celebration. We were impressed with the quality of the hotel and the accommodation, which I hear they are planning to refurbish soon. The check-in desk was well manned and the staff could not be more accommodating.They helped us book a restaurant for dinner, stored out birthday cake for us and took a few group photos. I liked the cosy decor of the bedroom. The bathroom looked a bit dated but everything was clean, comfortable and fit for purpose. We didn't eat dinner there but the breakfast was well organised, flowed smoothly and the breakfast food was delicious. There is a pool and a Spa there but I didn't get to use them. There used to be a large bar there when I had stayed here years ago but its closed now. The space in the residents bar is a bit limited but there was entertainment on and it had a great family atmosphere. The hotel is easy walking distance to the main street. There is a parking garage next door and we received a voucher toward the cost so it cost us very little. I'll definitely come back with my kids next time and avail of the pool and nearby family attractions. fantsatic hotel and staff and will definitely return. Excellent Hotel- Highly recommend this hotel for a short break away. Rooms are well apportioned and comfortable. Food options fantastic. The staff however make this hotel 4 star very helpful, friendly and knowledgeable. Stayed in the Heritage on St Patricks night, had a very tasty meal in the restaurant, our room was clean and comfortable. Have stayed here on numerous occassions and it,s always consistent, really good breakfast. staff very helpfull . We have just returned from a very pleasant stay in The Heritage hotel. The rooms were very comfortable, spacious, clean and bathroom well stocked. The staff were very friendly and efficient in all areas from our arrival to our check-out. The food in the Italian restaurant was delicious with excellent presentation and service. We will definitely make a return visit and would highly recommend it to others. Nice lobby,restaurant and pool.Bar , bedrooms and bathrooms could do with a little work. Nice food and good choice at breakfast. Great location but need to budget for parking.Staff very helpful and friendly. Great stay. Very good staff. Food very good. The stay was very nice. The staff were very friendly and helpful, the food was great. I would definitely stay again. The only not so good thing I would say is that the hotel could use a bit of refurbishing. Fantastic hotel with the best location right in the town. 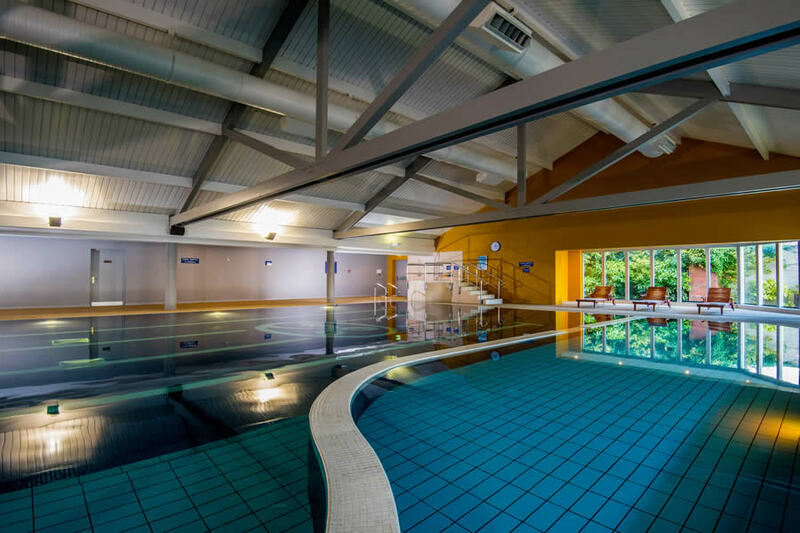 Staff are great and so is the food and leisure facilities. The bar could do with being bigger and a bit more entertainment but would return again . Lovely hotel staff are great but rooms are very dated inside and need a good refurbishment. Also the music from downstairs was thumping into our room from 11.30 to 3am and there was no warning of this on the website but I tink people should be aware of it. Staff kindly sent up some fresh baked cookies as it was our anniversary. Restaurant food was nice but the menu was the same both nights. Unfortunately there was a brawl in the hotel on one of the nights, and we were locked out. A sign outside indicated that entry should be through another door, but this was locked and we could not gain access and were left out in the cold for a while. When the night porter eventually let us in he was apologetic but it seemed to me that the hotel was understaffed to deal with situations like this. Fab hotel staff so friendly rooms very comfortable and restaurant was amazing will definitely be going back!